This children's comedy series is an old favourite of mine, although I was a tad too old to be watching it by the time the series ended in 1984 - I was about to leave school! 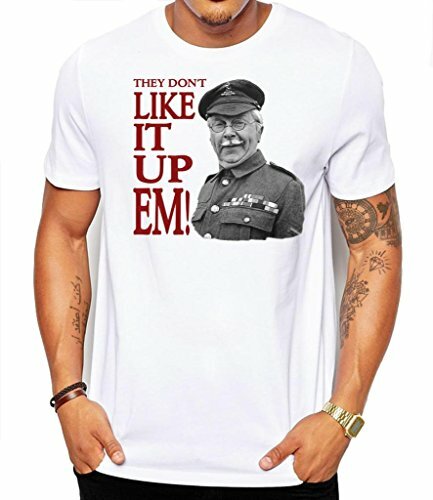 Of course, Clive Dunn is also fondly remembered for playing Corporal "they don't like it up 'em" Jones in Dad's Army. When the series ended he took the lead role as another elderly character in Grandad, which ran on the BBC from 1979 until 1984. There were 22 episodes lasting 25 minutes and Clive Dunn starred in all of them as Charlie Quick, a bumbling caretaker in a community hall. Geoffrey Russell played Mr. Watkins in 13 episodes and James Marcus played Bert Bamford in 11 episodes. The video above features a Betamax recording of an episode from the TV series. Further down the page, you will find a Top Of The Pops performance of the single Grandad. Released in 1970, the Grandad single missed out on the Christmas No.1 spot due to a strike at the EMI pressing plant. However, it finally reached the top spot in January 1971 and stayed their for three weeks before being knocked off its perch by George Harrison's My Sweet Lord. 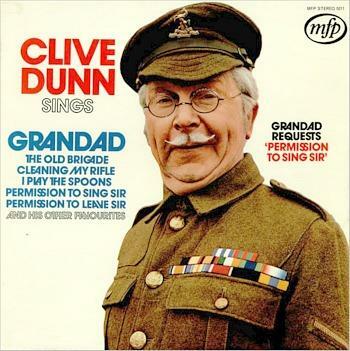 This was Clive Dunn's only hit single. 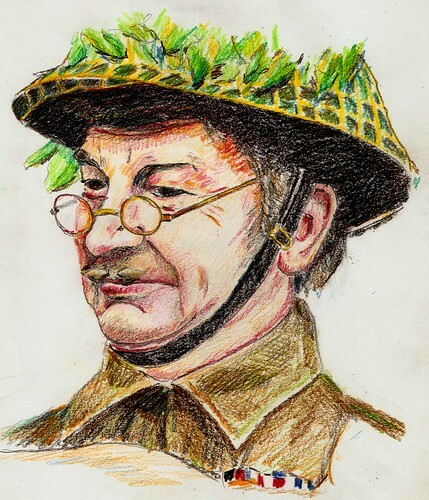 I discovered this wonderful artwork of Lance Corporal Jones on flickr which was uploaded by Graham Lees. The image has been released with this Creative Commons license. 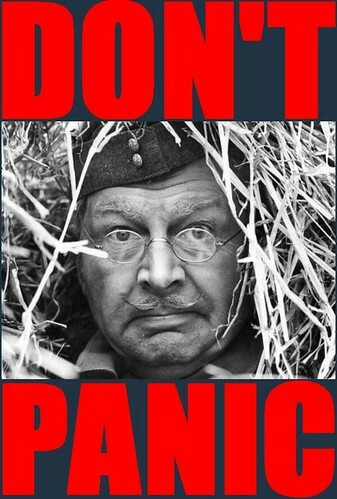 An amusing and contradictory catchphrase which Corporal Jones used in almost every episode of Dad's Army was, of course, "Don't Panic! ".